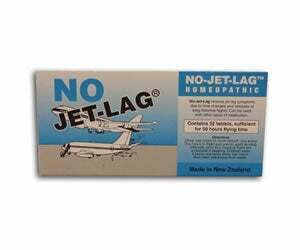 Jetlag need never again be a problem, according to two scientists from Boston's Brigham and Women's Hospital. All you need is an understanding of your circadian cycle, a strong light, and plenty of spare time. Without light therapy, the traveller's circadian clock slowly inched back into sync with the new time zone, but was still off schedule after 12 days. As a result, the traveller is in peak mental form for only a few waking hours a day. However, a traveller who received a six-hour light session at progressively later times each day was back on schedule after just eight days. They were also alert for most of the day. The treatment comes following Dean and Klerman's development of a new way of calculating someone's circadian clock and subsequent development of a light-based countermeasure. The two are looking to take this method mainstream, as well; they've made a beta version of the circadian calculator available for download, and hope to work with a software company to create a more user-friendly version for official release. Just remember to take a strong light with you on your next long flight.